For my final sermon of the semester I was assigned one of the bigger challenges I’ve had in my Seminary Career. 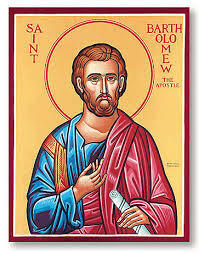 I had 8 minutes or fewer to preach a sermon on Exodus 19:1-6 to commemorate the Feast Day of St. Bartholomew (Nathanael in the Gospel of John), an apostle. Is it possible? You be the judge!